Today reminds us of our epic struggle for self-actualization. It reminds us of our long walk to freedom-how our founding fathers fought to salvage us from the crippling grip of white supremacists. It reminds us of our ultimate triumph. Today reminds us of that day when we broke the manacles of imperialism, that day when we heaved a great sigh of relieve. That day when we told ourselves yes we can. It reminds us of that day when we truly attained the status of nationhood and chose to serve our fatherland with love, strength and faith. Sadly, 57 years on, Nigeria, to put it mildly, remains a toddling giant. With ethnic tension still rife and political instability at its peak, the future of our dear country continues to be threatened and we seem to have forgotten in a hurry the sacrifices of our founding fathers- The busy mornings, the tight afternoons and the sleepless nights they endured- to give us hope and a future. Today, there is the increasing demand by the South East for self-actualization as a result of perceived marginalization in the nation's political climate- a development which has gradually crystallized into a global clamour. In the north east, the menace of insurgency has continued unabated, crippling educational activities. Over 2,295 teachers have been killed and 19,000 have been displaced with almost 1,400 schools destroyed with the majority unable to open because of extensive damage, a report by UNICEF reveals. The report also revealed that nearly 1 million children have been displaced by the crisis and 450,000 children under the age of five are expected to suffer from severe acute malnutrition this year, with cholera outbreak affecting more than 3,900 people, including over 2450 children. Most worrisome is the cruel and calculated increase in the use of children as ‘human bombs’ which has gradually sown a climate of mistrust among communities in the northeast according to a UN’s children agency report. the report said that 83 children have been used by the group to carry out bomb attacks in the north eastern Nigeria, a development which is four times higher than it was for the entirety of 2016. The UN estimates that 20,000 people have been killed and at least 1.7 million displaced since the armed group launched its armed campaign in northeast Nigeria eight years ago. The security of our nation continues to be threatened. The north central zone is not spared the ordeal as activities of herdsmen have led to the death of countless lives, with Benue, Plateau and Kaduna as hotbeds of such attacks. An estimated 3,000 people have been killed as a result of attacks by herdsmen. We can go on and on. The list is just endless. We are one nation with multifaceted troubles. But these troubles are not interactable. They only require us to come together and fight to reclaim our place as the true giant of Africa and not a toddling giant of Africa. It is important to note that our joy at independence was immeasurable, given the pump and circumstance that surrounded the celebration. Of course, it feels great when you can take decisions without interference. The number of people in attendance at the Tafawa Balewa Square, venue of the celebration showed how long we had waited for that day. This speech shows how much our independence was (is) cherished. It shows the dreams our forebears had when they were fighting to be free. Indeed, they foresaw a bright future. A future when we all shall live as one despite our ethnic and religious divides. Now is the time to rise up and address the multifarious issues which have constituted a huge source of nightmare to us as a nation and keeps us from attaining our goals. Now is the time. Now is the times to rise up and ensure that the dreams of our fathers are achieved. Our security operatives must all the more be dedicated to duty. Those in government must do well to represent our interest. We the citizens owe them a duty to wish the well. 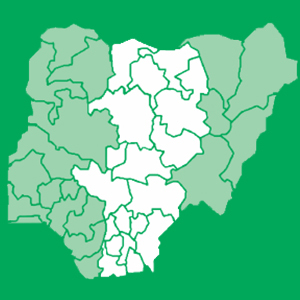 From demands for self-actualization in the South East occasioned by structural imbalances in the country- fewer number of states and local governments, lesser revenue accruals, political representation, federal employments and political appointments to activities of herdsmen and increasing wave of insurgency. All must be addressed. Beyond the pump and circumstance that accompanies our independence day celebration, we must recall to mind the giant strides of our heroes past- how they fought to give us a sense of belonging. There is still hope for a better Nigeria. A Nigeria of dreams.